Best suited for the executive or high productivity user. Backlit, high resolution color touch screen, 8 line appearances, 8 buttons, and high quality hands-free speaker phone. Serves as receptionist or executive phone and is necessary for the PC based Console Assistant. Full duplex speaker phone, large display, 6 line appearances, 6 buttons, and softkeys. Expansion module available. Perfect for the administrative assistant and others who must monitor, manage, and cover the various status of calls. The expansion module extends the capabilities of the 7960 by adding 14 buttons to the existing 6 buttons of the 7960. Up to two expansion modules can be used. 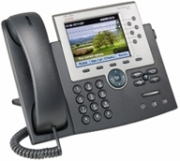 Great for the sales, customer service, and administration worker with normal call volume. Full duplex speaker phone, large display, 2 line appearances, 2 buttons, and softkeys. Appropriate for a lobby or break room phone. Two line appearances, 4 softkeys, Menu and Hold keys. Appropriate for receptionist or administrative assistants. This wireless headset and lifter system allows workers to move about the office without interrupting or missing a call. Roam up to 300 feet without call quality issues. This phone is suitable for executive, administrive, or high productivity staff. With a large, color and backlit LCD display this phone is the latest addition to the 79XX series of phones. A full-duplex speakerphone with acoustic echo cancellation, 6 line appearances, 6 buttons, softkeys and navgiation cluster for ease of use. Expansion module available. 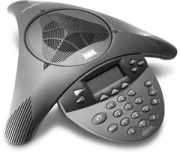 With 360-degree room coverage—digitally-tuned custom speaker and three sensitive microphones provide uniform coverage this phone is best suited of small-to-midsize conference rooms The most feature-rich of the IP conference room phones including call hold, call transfer, mute, “ad-hoc” and “meet-me” conferencing, park, and pick up. AC power included. Ideal for the worker that needs a mobility option. Sleek, second generation wireless IP phone with speakerphone, dedicated mute and volume buttons and 2-inch display. 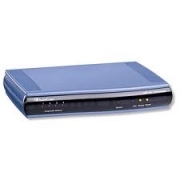 This analog VoIP gateway connects legacy telephones, analog devices, and PBX systems with IP based networks to address the need of enterprise companies and small-office environments that need a cost-effective way to turn analog telephones into IP devices. *Two, four, eight and twenty-four port devices are available.